“For parents, this reinforces the importance of establishing a bedtime routine. About 12.7 million children and teenagers in the United States are obese, making excess weight a major health concern. This medical condition can set children up to suffer with health problems such as heart disease and diabetes. One risk factor for obesity is short night-time sleep duration or poor sleep in young children. 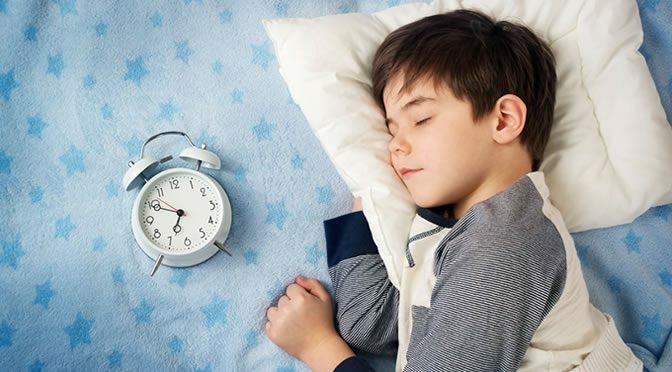 To see if earlier bedtimes in preschool-aged children were associated with a lower risk of obesity in their teenage years, the research team used data from 977 children who were born in 1991. The preschool bedtimes in the study were divided into three categories: after 9 p.m., between 8 p.m. and 9 p.m and 8 p.m. or earlier. The striking difference was that only 10% of the kids with the earliest bedtimes were obese teens. However, 23% of those who went to bed latest were obese teens. Dr Anderson and her colleagues also looked at the role of “maternal sensitivity” and the interactions between mothers and their children. Those children who went to bed latest and whose mothers scored lowest on sensitivity, faced the highest likelihood of obesity. Later bedtimes were more common in kids who lived in a lower income household and their mothers were less educated. The household routine is also important for preschool children. For example, kids often rise early when parents and older siblings must get up and leave the house early. “It’s important to recognize that having an early bedtime may be more challenging for some families than for others. Families have many competing demands and there are tradeoffs that get made. Dr Anderson pointed out that putting a child to bed early won’t guarantee that it will sleep immediately, but setting up a bedtime routine will increase the chance that the child will have the right amount of sleep. According to previous studies, children are biologically pre-programmed to sleep well before 9 p.m. The study was published in The Journal of Pediatrics (Anderson et al., 2016). Previous PostTry These Strategies To Ensure Your Diet Plan WorksNext PostIs Pasta Really Fattening?